Do you have a Samsung bada WQVGA device? Maybe 578, 723, 533 or 525..? Please feel free to download the fresh and free app 8BitEffects now! 8BitEffects transforms your photos to make them look as if displayed on an old-school, 8-bit computer of the 1980’s. FaceCollagePro now available for free for your iPhone, iPod Touch and iPad for a limited time! Free RhinoDressUp update for bada 2.0 out now! 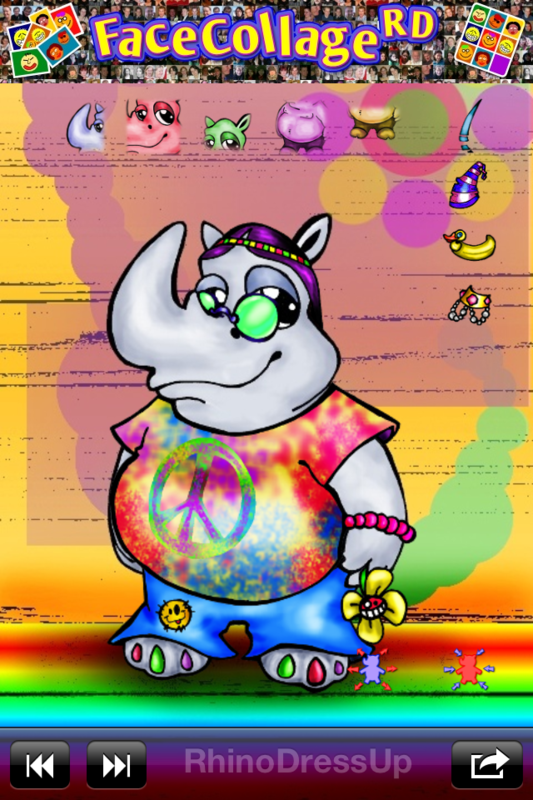 Yes it’s true, Samsung finally uploaded the bada 2.0 update for the free RhinoDevel game RhinoDressUp to SamsungApps! As you can see in the screenshot above, there is some new stuff available. I have also fixed a bug that caused some clothing not being available. Sorry for that, please update for free, if the error occurred on your device. 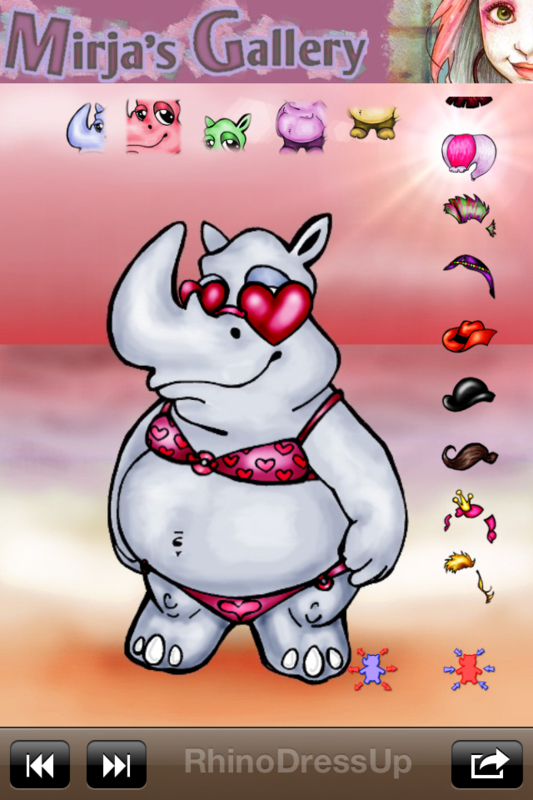 Enjoy RhinoDressUp and feel free to use the new “Rate & Comment” feature. Thanks and have a lot of fun! Get them all for FREE and dress up your own rhinos by downloading RhinoDressUp! Get it for your iOS device right here. For your Samsung bada WVGA phone here. And finally for your Samsung bada WQVGA phone here. FaceCollagePro und FaceCollage für iOS bei AppTestr.de. RhinoDressUp out now for iOS – for free! 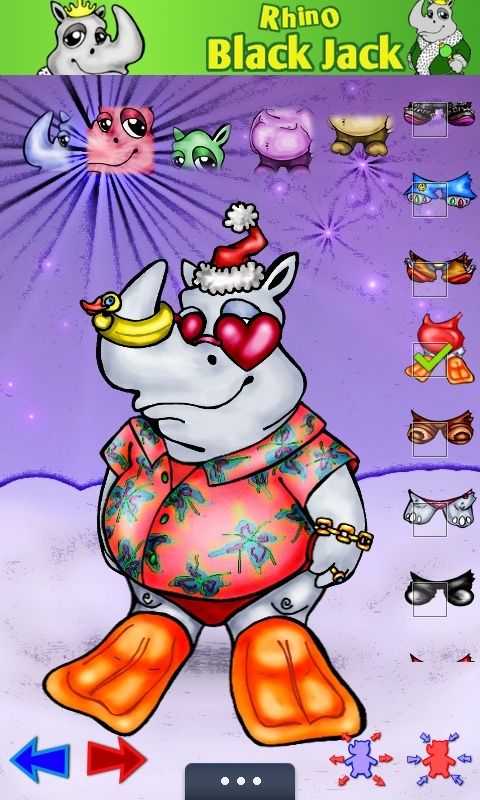 RhinoDressUp is a free game already available for all Samsung bada phones and finally out for Apple iOS devices, too! Download it for your iPhone, iPod touch and iPad here. All rhinos and dresses were created by Mirja T. Check out her other free app MirjasGallery and visit Mirja’s complete online art gallery at http://niviswinter.deviantart.com/gallery/. Really hope you and your kids enjoy dressing up the rhinos! Please let us know, if you like the app by rating and reviewing RhinoDressUp at the Apple AppStore.